A New York Times bestseller, this riveting account of the Nuremberg trials by a legendary journalist is simply "astonishing" (Francine Prose). 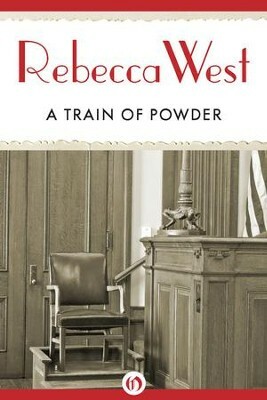 Sent to cover the war crimes trials at Nuremberg for the New Yorker, Rebecca West brought along her inimitable skills for understanding a place and its people. In these accomplished articles, West captures the world that sprung up to process the Nazi leaders; from the citys war-torn structures to the courtroom security measures, no detail is left out. Wests unparalleled grasp on human motivations and character offers particular insight into the judges, prosecutors, and of course the defendants themselves. This remarkable narrative captures the social and political ramifications of a world recovering from the divisions of war. As engaging as it is informative, this collection represents Wests finest hour as a reporter. Dame Rebecca West (18921983) is one of the most critically acclaimed English novelists, journalists, and literary critics of the twentieth century. Uniquely wide-ranging in subject matter and breathtakingly intelligent in her ability to take on the oldest and knottiest problems of human relations, West was a thoroughly entertaining public intellectual. In her eleven novels, beginning with The Return of the Soldier, she explored topics including feminism, socialism, love, betrayal, and identity. Wests prolific journalistic works include her coverage of the Nuremberg trials for the New Yorker, published as A Train of Powder, and Black Lamb and Grey Falcon, her epic study of Yugoslavia. She had a son with H.G. Wells, and later married banker Henry Maxwell Andrews, continuing to write, and publish, until she died in London at age ninety. I'm the author/artist and I want to review A Train of Powder - eBook.